We did it for the distilleries, we did it for the regions. This time we do it for the bottlers, the companies that buy the barrels and fill the whisky into the bottles we intend to buy. Here are the bottler indices. Our distillery- and region indices proved to deliver some interesting insights into the secondary whisky market. While we still haven’t analysed those indices in detail, we hereby already introduce those summarizing measures for the whisky bottlers. Analogous to the distillery indices, we require at least ten different bottles with each five distinct price observations in order to generate an index for a bottler. You can find these figures in our toolbox or directly by clicking here. These indices are calculated by following the methodology described in our About the Whiskystats Indices article. The original bottlings take a special role in this listing. While all other bottlers are distinguishable companies, pretty much all of the scotch distilleries also distribute original bottlings, i.e. they bottle their own whisky. So if you look at the Original Bottling indices you see the price evolution of the 100 most traded whiskies which were bottled by some distillery itself. By October 2015, this index value is just beneath 300, meaning that the 100 included bottles tripled in value over the last decade. This also marks the highest bottler index value and is very similar to the indices of the brora and macallan distilleries. So are the best performing bottles original bottlings from the brora or macallan distillery? We will find out in one of our upcoming articles! We will now have a look at the best performing independent bottlers. On the very top of this list is Douglas Laing & Co. with an index value of 250 at the end of September 2015. The 100 included bottles of this bottler pretty much never lost value and experienced the larger part of their gain in value (as the whole secondary whisky market) in the years of 2010 and onwards. The biggest independent bottler (in terms of relative market share) ist Gordon & Macphail. The corresponding index, which also exists of the maximum of 100 bottles, closes slightly above 220 points in September 2015. Interestingly, over a half-year period from April to October 2011, the Gordon & Macphail bottles lost value. While the indices of the above bottlers consist of the maximum of 100 bottles, the following companies issued lesser bottles that found their way on our radar. With 23 bottles included in their index, The Bottlers managed to achieve the second highest bottler index value with 227 points in September 2015. These whiskies never really lost value and climbed 10 points within the two months of May and June 2013. The last (but certainly not least) of our top bottlers is Douglas McGibbon. The 25 considered bottles almost doubled in value over the past three years. Especially over the course of the year 2014 the index skyrocketed by more than 50 points. At least for the moment this hype seems to pause since in the nine observed months of 2015 the growth slowed down to eight points. When looking at the lowest index values we observe that these bottlers are very close to our defined requirement of having ten frequently traded bottles. The all-time lowest value was observed for Waddell Hepburn with 73 points in October 2010. After the index hit rock bottom, it managed to not only comeback to 100 points but closes at 120 points in September 2015. Also in the year of 2010, the Alchemist Beverage index found its lowest value at 74 points. In contrast to Waddell Hepburn, this index never found its way back above the initial value of 100. In fact, this index never ever was above 100 points! With the bottler indices introduced, we now have indices for every distillery, bottler and region in our database. We will use these tools for detailed reports and the analysis of future price movements. For now we conclude that the bottler is an important factor when trying to assess the achievable price of a single bottle of scotch whisky. Our indices give us an overview of the major movements of the secondary whisky market. To get the most out of them it is important to know how they work and what they describe. 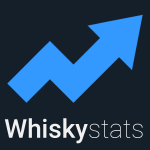 Here is the introduction to our (new) Whiskystats indices! This topic contains 0 replies, has 1 voice, and was last updated by Whiskystats 3 years, 5 months ago.